Welcome to our updated list of promo codes and coupons for Ultrahosting.com! Ultra Hosting is a discount VPS (virtual-private server) and Dedicated web hosting company that offers a range of hosting services: Linux VPS, Windows VPS, and even Windows Forex VPS (used as a trading platform). Those hosting platforms are also available as dedicated servers. How low-cost are they? They offer a 110% price guarantee. What does this mean? If you find a comparable VPS plan cheaper somewhere else, let Ultra Hosting know and they will match it, plus give you another 10% discount. Instructions: See those blue coupon buttons below? Here’s how to use them: click on the button and a new window will take you to Ultrahosting.com. The promo code will now become visible. You can either memorize the coupon, or you can click the button again to copy it to your clipboard. When you reach their online shopping cart, enter the code and click apply. This coupon code, despite having the title 'October', still works. 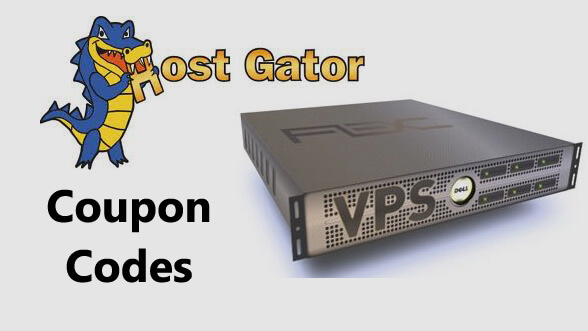 It will give you 10% off any VPS Hosting Plan, whether it be Windows or Linux. This coupon code works the same way as the spring10: 10% off hosting. Try one, and if it doesn't work, try the other! Yet another 10% off coupon! Since Ultrahosting is a super-low cost hosting provider (with a 110% price guarantee! ), these promo codes don't seem to be any deeper than 10% off. If we find any other ones, we'll be sure to post them. Ultra Hosting is a very old company, by internet standards: it was founded in 1983! Ultra Hosting focuses mainly on VPS Hosting and it seems that its clients are mostly company websites and high traffic websites. They do offer some very friendly VPS Hosting plans: Their Linux VPS plans start at $7.95/month, and their Microsoft VPS plans at $24.95/month. The thing that separate Ultra Hosting from almost all other VPS providers is that there is no contract. It means you can cancel at any time with no cancellation fees. Ultra Hosting also has a 110% price guarantee. If you find a VPS provider with a cheaper price, present it to Ultra Host and they’ll beat it by 110%. Pretty sweet, right? Since Ultra Hosting is a ‘budget VPS’ hosting company with a 110% price guarantee, the coupon codes don’t cut deeper than 10% off their hosting plans. But if you compare them with other VPS Hosts, the deals are pretty awesome. First, select the type of hosting you would like to purchase. Ultra Hosting gives you a range of options, so you need to go through several screens where you select the type of hosting plan you would like to purchase: what kind of control panel (i.e. Plesk), level of Support, type of OS (i.e. Debian, CentOS, etc.). If you’re a new customer, you’ll need to fill in your personal information first before you get to the promo code page. This is your name, address, phone number, as well as username and password. You won’t have to enter your payment information yet. You’ve made it to the checkout page! At the very bottom, just below your total, you can see the entry field for coupons. Enter the coupon code. The promo code box is just below the order’s subtotal. Enter the coupon code and click “Apply”.